My first car was a 1969 Cutlass S convertible in Saffron Yellow. In late 2017, I decided to try to find one like it, and found one right away on eBay. But the $70,000 asking price was much more than I wanted to pay. So I expanded my search to all '68 and '69 Cutlasses. I found this car, but initially passed on it due to the color change. But the more I looked, the more I kept going back to this car. The color really grabbed me and I thought the car had a lot of eye appeal. I contacted the seller and he assured me that the repaint was done very well. So I ended up buying it. It's a very nice car, very clean with no rust, and Canadian built. It has 48,000 miles. Once I got it home and saw how nice it was and verified the seller's claim that the paint job was done correctly, and decided to keep it, I started on a plan. Since the color and hood had been changed, I wasn't too concerned about keeping it completely correct and decided to have a little fun with it. I believe the color to be very similar to a Pontiac color called Aleutian Blue. 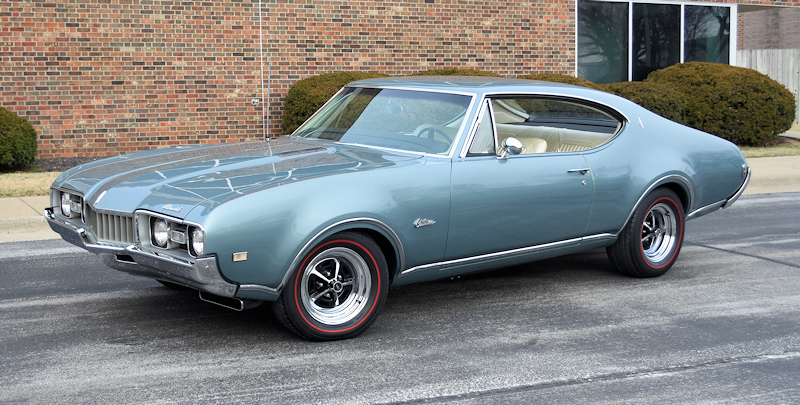 Oldsmobile offered the W-31 option on the Cutlass Supreme in 1968, but it kept the high-compression 4-bbl engine that was standard in the Supreme instead of the W-31 engine. I assume this was a customer satisfaction measure, meant to keep the rough-idling W-31 engine from annoying Supreme buyers. I decided to go with the W-31 style engine. We pulled the heads, had them machined for large valves, and installed a little tamer and more modern version of the W-31 cam. It still has a rough idle, although not quite as rough as a real W-31. 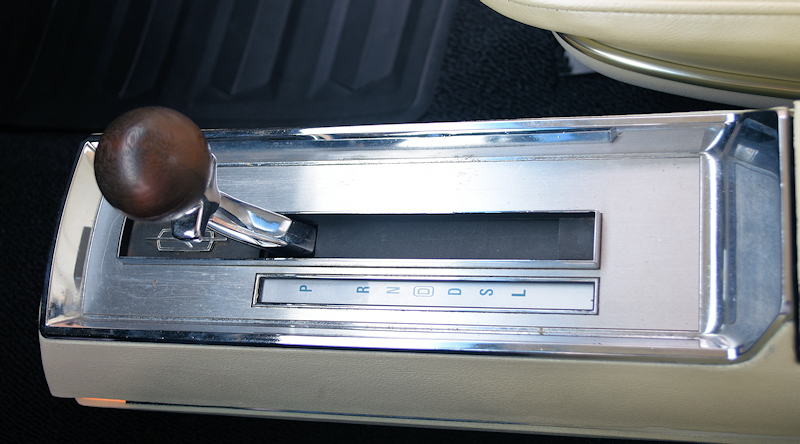 This enabled us to keep the automatic transmission and add air conditioning and power disc brakes. We also added a set of aftermarket high performance exhaust manifolds and replaced the carb with FiTech fuel injection. The original Jetaway went away in favor of a built 200R4 with a 2200 rpm stall converter. We swapped the rear gears to 3.73 with anti-spin. The interior was completely redone in the original parchment color. We added aftermarket guages and a tach to the two outboard pods in the instrument panel. We added a rear sway bar and had the steering box converted to 10:1 ratio, but otherwise left the suspension alone. Because of the front disc brakes, we went with 15x7 SS1s in front and 15x8 in the rear for a little more rubber. I've only been able to put a few miles on the car so far, and we still have some fine-tuning to do on the FiTech. But the car drives great and is a blast to drive. It turns about 2800 RPM at 70 mph. I'm looking forward to spring and some driving weather! Last edited by Jon442; March 10th, 2019 at 09:07 AM. Sweet 68, I'm following in your footsteps, all that is left for me is the bullet under the hood.. Do you plan on taking it to the dragstrip? That's a nice one. I think that's the color of my first 68 Supreme. Last edited by allyolds68; March 11th, 2019 at 09:53 AM. Great job,this car turned out very beautiful! Thanks! The color/wheel/tire/interior combination really caught my eye. The tires are Diamond Back radials. I've used them several times over the years and have always been happy with their tires. They can make any tire style you want. My tires are 235/60/15 front and 255/60/15 rear. To me, that would be up-badging. And besides, I want to keep a stealthy look. Absolutely beautiful car! 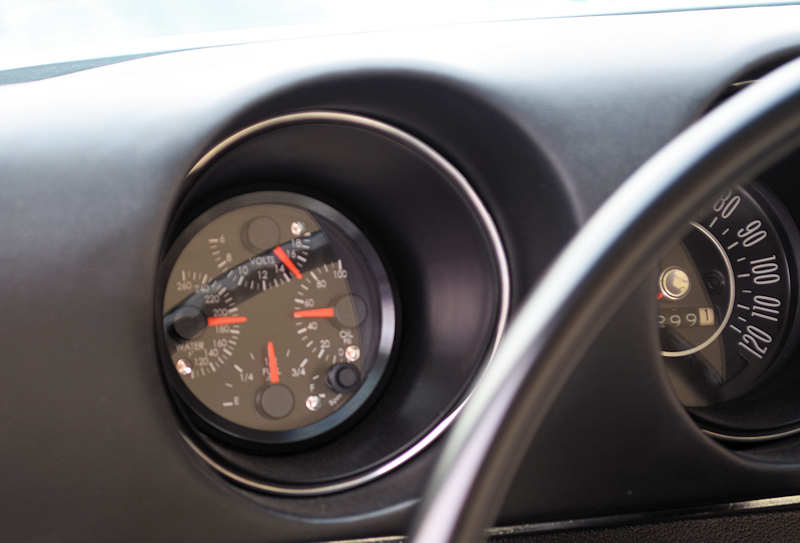 Check your speedometer, your rpm is about 600 rpm high unless you are running a non lock up converter. Best color on a 68 by the way. Is the interior pearl like mine or white. I checked the speedo with an app on my phone, it's within a mile or two per hour of being accurate. 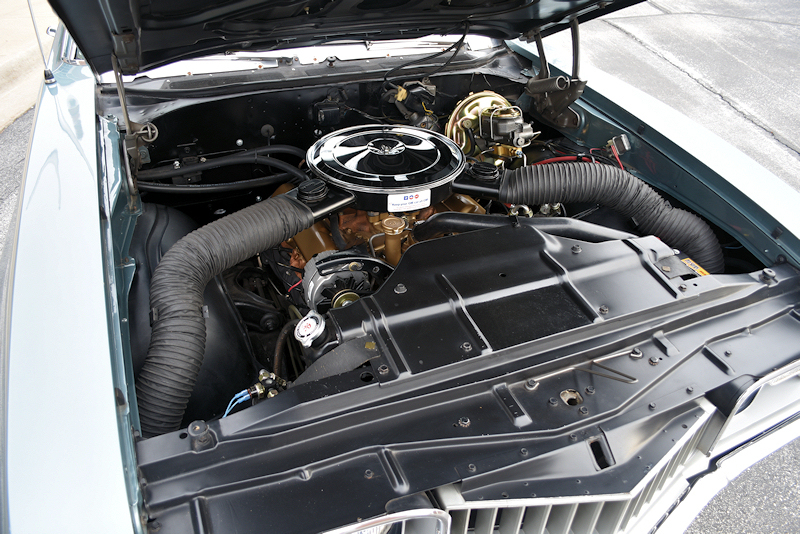 The trans is a performance-built trans, so I'm assuming it doesn't have a lock-up converter. The interior is parchment, kind of an off-white pearl. 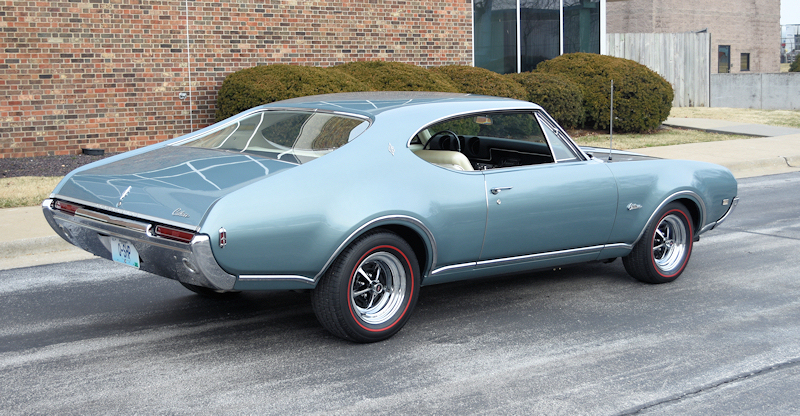 Beautiful 68', that's my favorite model year Olds. Nice job Jon! Looks & sounds great!!! 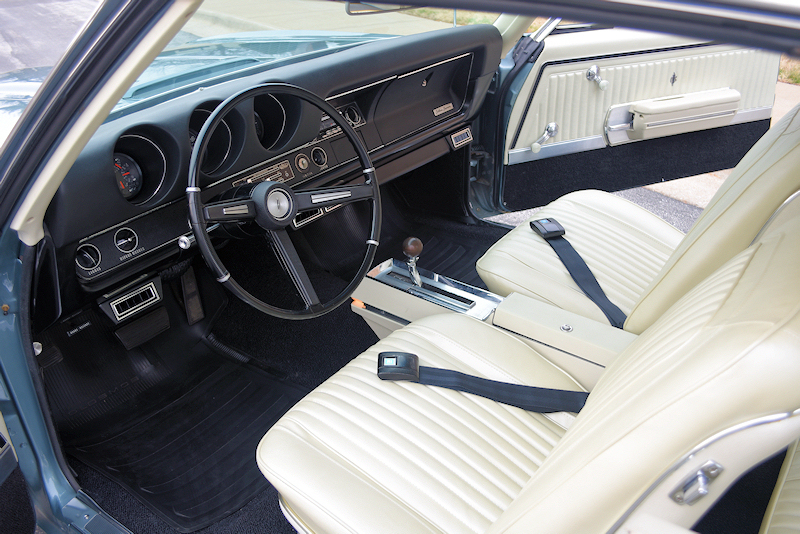 Looks very similar to the Pearl interior in my 70S. I like it better than white, pretty and more forgiving with dirt. 78 royale interior upgrade finally finished!